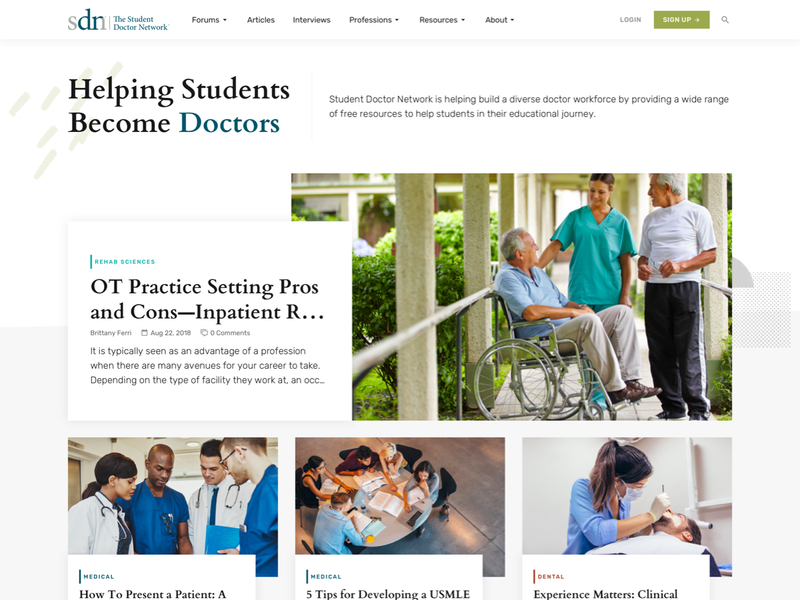 Student Doctor Network is a non-profit organization helping students in many medical fields to become doctors by providing an active community, articles and other resources. With over 700,000 members and 20 million posts, the client was looking to modernize their look as well as upgrade their software. Previous to the project, we were responsible for redesigning their promotional material so with that in mind, we were able to translate the branding from the material to their website and forum for a consistent look. Starting with an extensive planning and wireframing process, we paid particular attention to consolidating their content while displaying it in an organized and professional way. Throughout the design, we included geometric patterns with a hand drawn style and angled effects to further their branding.